Sky has bought a majority stake in Leeds production company True North. The indie, which is behind factual brands such as A New Life in the Sun for Channel 4, Junior Vets/Ultimate Vets for CBBC and Homes By the Sea for More4, becomes the first of Channel 4’s Growth Fund investments to be sold. True North says it will use the investment from Sky to continue to grow its bases in Leeds and Manchester and remains committed to "developing a strong production business in the north". Co-founders Andrew Sheldon and Jess Fowle, who previously held a 38.5% stake each in the company with Channel 4 holding 23%, will be staying on as creative directors. 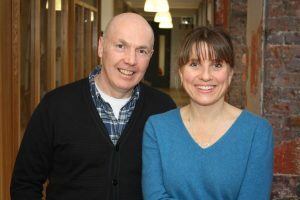 Other key members of True North’s senior team, including MD Marc Allen and execuctive producer Fiona O’Sullivan, who leads the company’s Manchester operation, will also be staying with the company to help drive international and format ambitions. Sky or True North have not yet confirmed the exact new ownership structure. True North, set up by former Yorkshire Television producers Fowle, Sheldon and Middleton - who left soon after the Channel 4 investment - has a turnover "well in excess of £10m", according to Fowle. As part of True North’s growth strategy, the company has recently been focused on developing formatted factual entertainment shows for international markets and has had significant success – including a number of international format sales – with their new Channel 4 series The Lie Detective. Going forward, Sky’s international production and distribution arm, Sky Vision, will represent True North’s new programmes and formats while the True North management team retain their creative independence. Sheldon said that the latest move was part of a strategy to take the company into the rapidly expanding international market for TV production. He said: "Being aligned to Channel 4 has been a terrific experience. Although they won’t be investors anymore we’re really looking forward to continuing our creative partnership with the channel. We’re now well placed to deliver on a new set of ambitions in the global market, and we think Sky are the perfect partners to help achieve that." Fowle added: "We’ve grown and nurtured True North for the last 16 years so it was absolutely crucial to find the right partner. We had a lot of interest from potential investors but Jane Millichip and her team demonstrated that they understand and value not just our content, but our culture, and that proved irresistible." True North, which currently has 11 series in production, employs "in excess of" 150 people across its bases in Leeds and Manchester. Its ground-breaking documentary for Channel 4, Breaking The Silence: Live, witnessed the moment when a group of deaf people were able to hear for the first time. David Abraham, chief executive at Channel 4, said: “We set up the Indie Growth Fund to help support creative UK companies get to the next level – and in just two years we’ve helped secure a strong future for True North. In this time, and with Channel 4’s support, Andrew and Jess have built one of the biggest factual indies in the country and established an important training ground for new and diverse creative talent in the north.